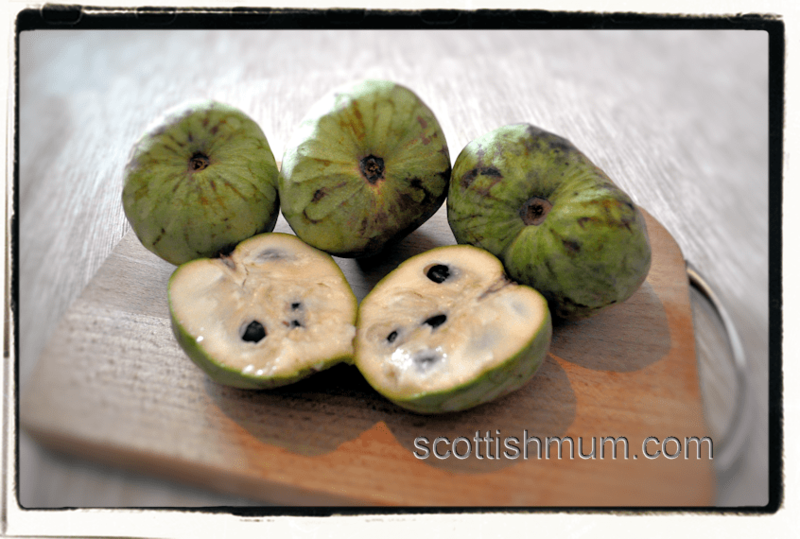 I’d not tried custard apples before and thought it would be interesting to make something with them. I was a little unprepared for how it actually needed to be prepared, but the taste was very custard/banana cross like. Custard Apples need to sit until they become soft to the touch. In most other fruit, the same effect would have me reaching to throw the fruit in the bin. Don’t put them in the fridge as they don’t do well if they are too chilled. 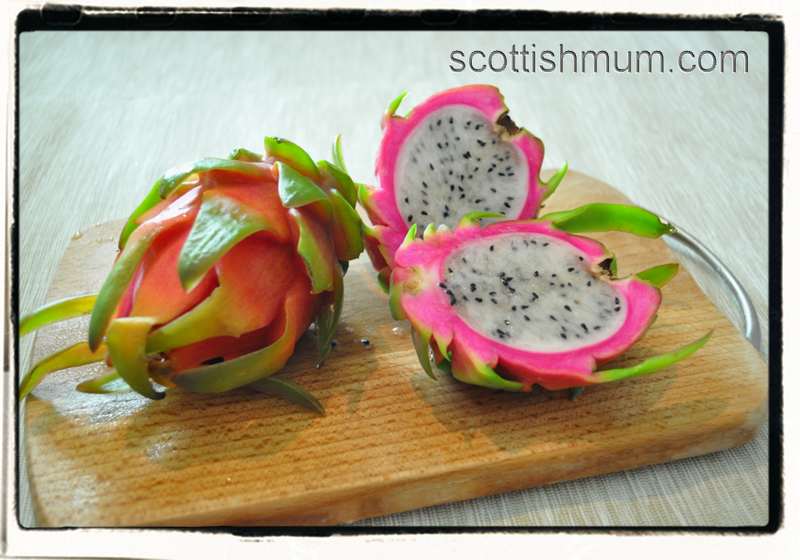 Dragon Fruit is one of my favourite fruits, so it was an easy choice to try adding that to a new shake style drink. Out of 5 of us, only littlest was not keen, so it was a success. Littlest was put off by the seeds from the dragon fruit, though I suspect the milkshake would have been slightly more tart without it. Some children might prefer a little syrup added to the milkshake to make it sweeter, but for us, it was fine simply with fruit and milk blended. Peel and take out the seeds of the custard apples. Peel and chop the dragon fruit. Put the fruit into a blender with enough milk to make up to approximately 1.20 - 1.50 litres in your blender and blend until smooth. Keep your milkshake in the fridge. We prefer to put ours in the freezer for half an hour before we drink it as the kids prefer the slightly thicker consistency. This sounds great, good range of flavours. Thanks for sharing. Hope you enjoy if you try it, it was fabulous. Yes, the custard apple is the main taste in the shake.